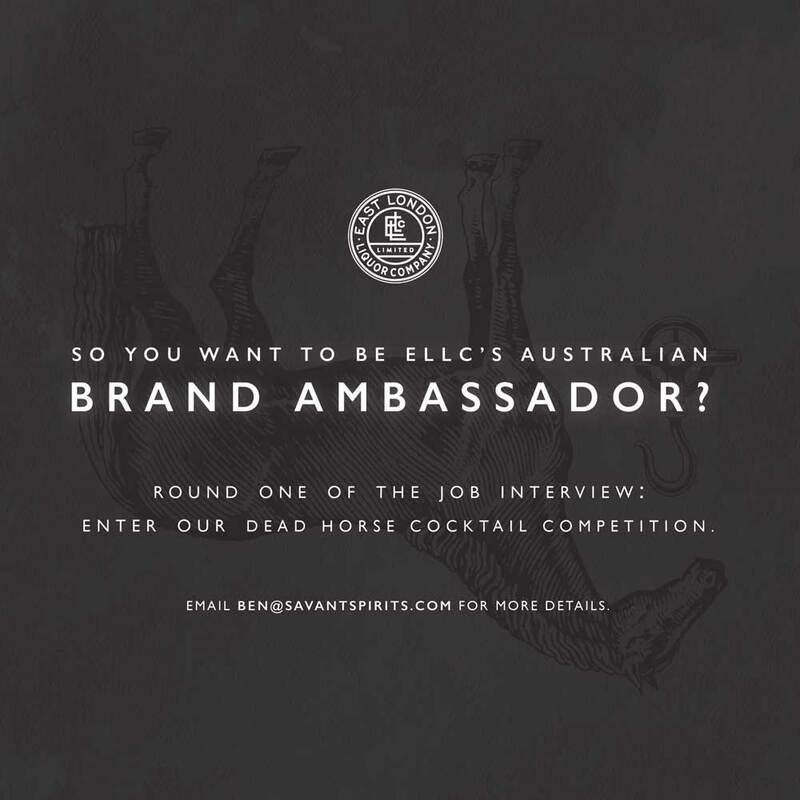 The call is going to out to all spirit-loving and industry-focused bartenders in Melbourne; the team from East London Liquor Company are looking for a Part-Time Brand Ambassador. The hunt is on! Now because ELLC strive to consistently look beyond the boundaries of tradition and norm, they’ve decided to shake up the hiring process. The first round of ‘interviews’ is a summer cocktail competition – but of course, there’s a lot more to be judged than simply what’s in the glass. Let’s unpack this a little bit further. ELLC are responsible for opening the first East London based distillery in over 100 years, finding their home in an old pub in Globe Town (formerly a glue factory – notice the dead horse on the label?). 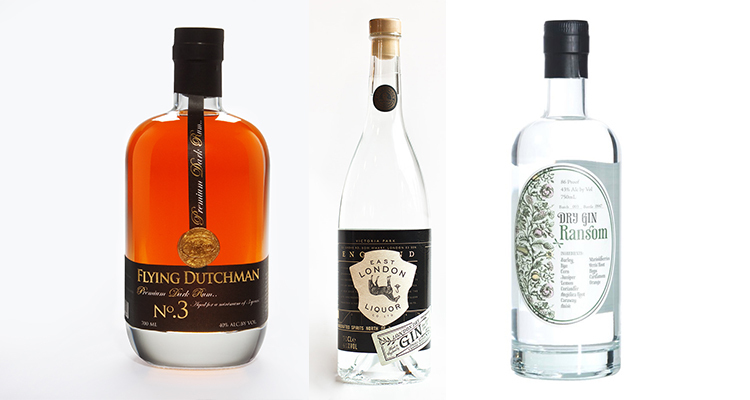 Ex Bartender Alex Wolpert commenced in 2014 and since then the team have been carving out their own unique road with a spate of craft Gins, Vodkas, Rums and (soon to be released) Whiskies. 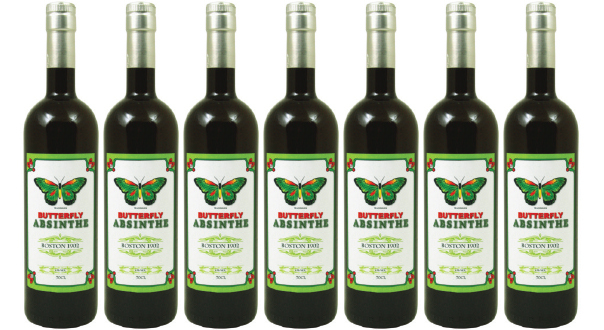 Noted in each bottle is a subtle maverick charm, borne from the founder’s contemporary vision. Commencing 1st December and running through to the end of January, this competition’s first round involves designing a summer cocktail that shows deliberation and careful curation. 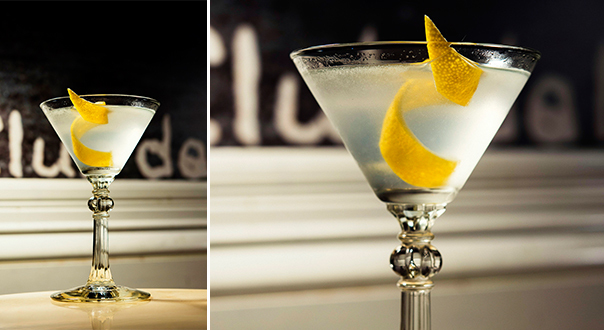 The winning recipe will also be taken on as the 2019 Summer Signature Serve at the ELLC bar in East London – so think London, Gin & Summer. Now before you go all stir-crazy concocting new and wonderful ideas, there are a few mandatory requirements to ensure you remain eligible for selection. You might walk the walk – but can you talk the talk? As this competition entails much more than just tantalising taste buds with liquid, you will need to express your honest love for the industry and the brand itself to progress through the rounds. The more passion, vitality and sincerity you show – the better. The founder of the East London Liquor Company, Alex Wolpert, is flying into Melbourne in February to meet the finalists, judge the drinks and ultimately hire the new Brand Ambassador for Melbourne. Please note that the application process will include a round of structured interviews to gauge who, out of the competition finalists, will be the best fit to represent ELLC. 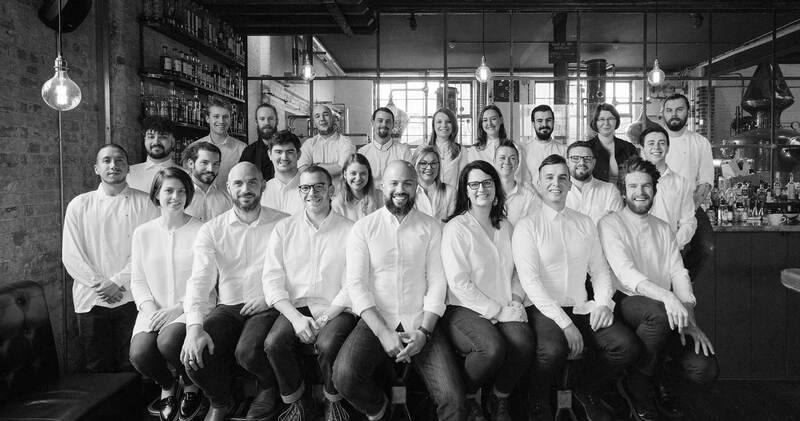 The lucky person selected to extend the ELLC team to Melbourne will be flown to London to visit the distillery, meet the crew and revel in the good times. Accommodation and flights will be provided. Upon returning to Melbourne, the BA will be employed part time promoting the brand. This will range from establishing new accounts, handling existing ones, hosting events and a general sharing of the love with the bartending and broader community. This is a paid, professional position and a healthy remuneration package will be presented shortly. The role is guaranteed for a year, but the ELLC really do want to push it out further. Basically, there is desire and scope to grow; the team want you to succeed as much as you do, so know that there is more in store if things go to plan. Best of luck for the competition, we look forward to sampling your creations and welcoming you on board. For more information, email ben@savantspirits.com.